documentation you may keep at no extra charge. 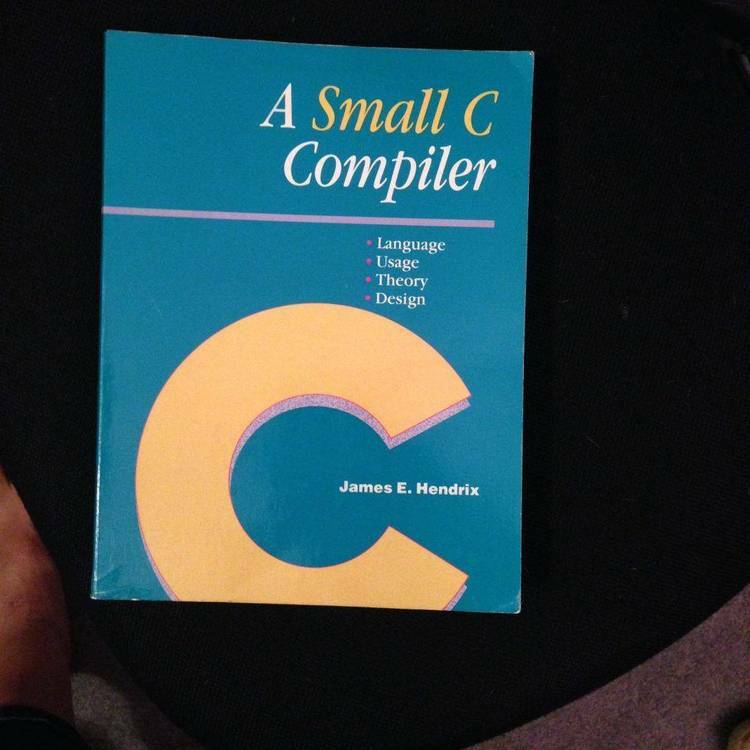 programmer who is ready to move up to the exciting world of "C"! handle by a computer than arbitrarily long character sequences. SHELL.SCI - the command shell, written in "Small C"
program it finds in SHELL.SCI. # could enter something like: 2+2 and a 4 would be printed. is handed off to the interpreter to be executed. displayed and the cursor positioned on the first character of the line. The editor has two different operating modes: EDIT and INSERT. exists) is not changed until you issue a "save" command. moves the cursor to the left by 1 character position. moves the cursor to the right by 1 character position. the next line of the program. the previous line of the program. on the screen and displays the requested line of the program. requested line of the program. (in the editor's buffer) to make room for the inserted text. To leave the character insertion mode, end the line with a .
will be redrawn with the newly inserted text. into the program in front of the line the cursor was resting on. To leave the line insertion mode, type and . drawn with the deleted character missing. Remember, type to exit the editor! language subset recognized by SCI. "int"s and single-dimensioned arrays of "char" and "int". * Decimal integer constants, character constants and string constants. integer constants are not supported. * "if-else" and "while-break" control structures. (see THE SYS FUNCTIONS, below). wait for the shell program to load (don't get too anxious now!). Hold down that shift key and poke the key with the letter 'I' on it. library function "puts" to print the string "hello, world\n" on the console. same as a (pre-defined) function that may be referenced by a user program. that has been provided mainly as a convenience to the user. of a "library" function that may be found in the stock shell, SHELL.SCI. 1 (putchar) - sends a single character to the console. RETURNS: the character that was displayed. chr - the character to be displayed. it to the console display. file (also initially the console). RETURNS: the address of the string, or -1 on error. str - the string to be written. channel - the file channel number. to a single line of text in the file. RETURNS: the address of the string, or 0 on EOF. str - the address where the string will be read to. 5 (sprintf) - does a formatted print to a string. See the "printf"
function in your "C" manual for more info. format - the conversion format. be converted, according to "format". 6 (sscanf) - does a formatted read from a string. See the "scanf"
RETURNS: the number of items read. buf - the string to be scanned. receive the information scanned from "buf"
7 (fopen) - opens the given file name for read or write. file - the name of the file to be opened. with sys(4), the channel must already be open. RETURNS: the address of the data read, or 0 on EOF. buf - the address where the data will be read to. count - the number of data bytes to be read. 9 (fwrite) - writes a given number of bytes to a file channel. RETURNS: the address of the data written, or -1 on error. buf - the address of the data to be written. count - the number of data bytes to be written. 10 (fclose) - closes an open file channel. RETURNS: 0 if successful, or -1 if not. the interpreter to be executed. RETURNS: the results of the statement. str - the string containing the C statement. 13 (totok) - "tokenize" the given string containing a "Small C"
RETURNS: the length of the tokenized string. srcbuf - the string containing the C statement. 14 (untok) - "un-tokenizes" the given token string. 15 (edit) - envokes the program editor. RETURNS: the new length of the program buffer. linenum - the line number to start editing. program - the tokenized program buffer. 16 (strcmp) - comparse two strings for equality. RETURNS: 0 if the strings match, non-zero if not. str1,str2 - the 2 strings to be compared. 17 (corelft)- check how much free space is left in the heap. RETURNS: the number of bytes of available memory. 18 (malloc) - request a given number of bytes of memory from the heap. the block back to the heap. count - the number of bytes requested. 19 (free) - return a block of memory to the heap. RETURNS: the size of the tokenized program. file - the name of the file containing the program. 21 (save) - save a program (in tokenized form) to a file. 22 (list) - list a program in tokenized form to the console. from - the starting line # to be listed. to - the ending line # to be listed. 23 (trace) - enable or disable the program line trace function. guts of your program as you please. .b# sets a breakpoint at a given line in your program. The "#"
program will halt. You may set a maximum of 10 breakpoints. .B displays all breakpoints set in the program. been previously set with a ".b". .D deletes all breakpoints set. .q quits program execution altogether and returns to the shell. next line in the program. This is the same as ".s1". disables trace and continues execution normally. at which point you may wish to examine program variables or whatever. the command shell in a way similar to most commerically available "C"